Cake through your letterbox? Now that's definitely something I can get onboard with! 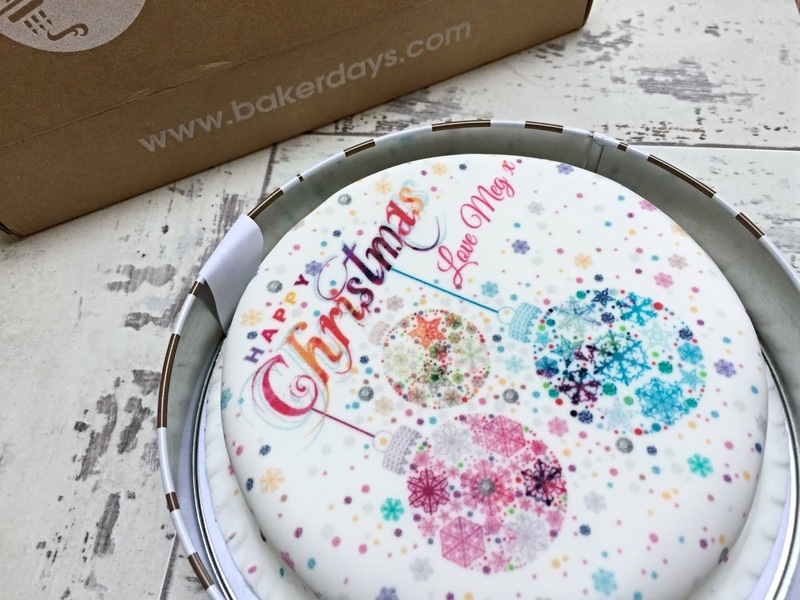 So when the lovely team at bakerdays offered to send me one of their personalised Christmas letterbox gift cakes* to try, I could hardly say no could I? I mean, it'd be rude not to! A good cake should not only look pretty but taste delicious too and I'm pleased to say the bakerdays cake ticked all of the boxes. It arrived packaged up in a lovely cake tin and padded cardboard box and was absolutely perfect to look at. 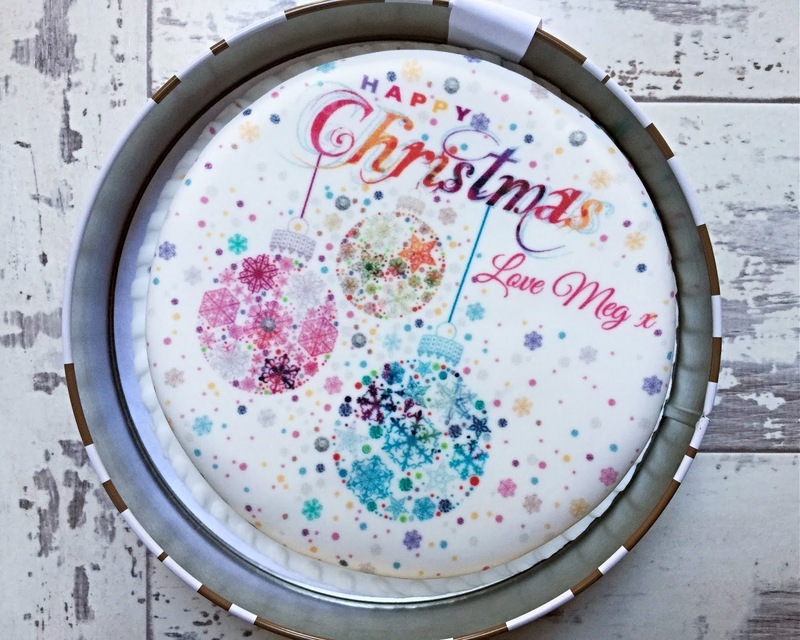 There was so many lovely Christmas designs to choose from on the bakerdays website and even the option to upload your own photo but I went for the Snowflake Bauble cake - simply personalising it for my family with the words 'Love Meg x.' I think it was a lovely choice - the bold colours look really pretty printed on the tasty icing, which reminds me of classic birthday cake. Yum! I opted for the traditional sponge cake - an all-round crowd pleaser but there were plenty of other delicious-sounding recipes to choose from including rich chocolate chip, lovely lemon drizzle, fabulous fruit, gluten wheat free sponge and dairy free sponge. The sponge was lovely and moist (a word I despise but the most fitting in this case) and the icing was super sweet - just how it should be. 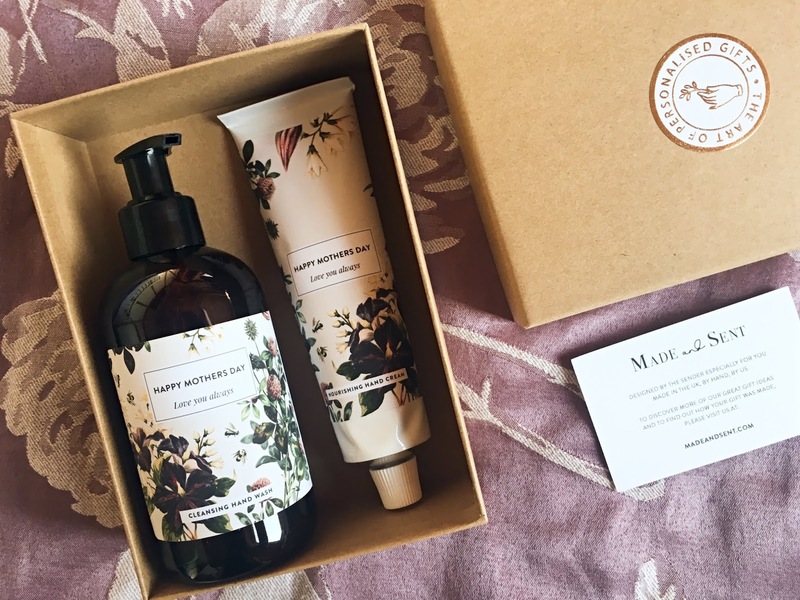 Orders come with a full ingredients list. 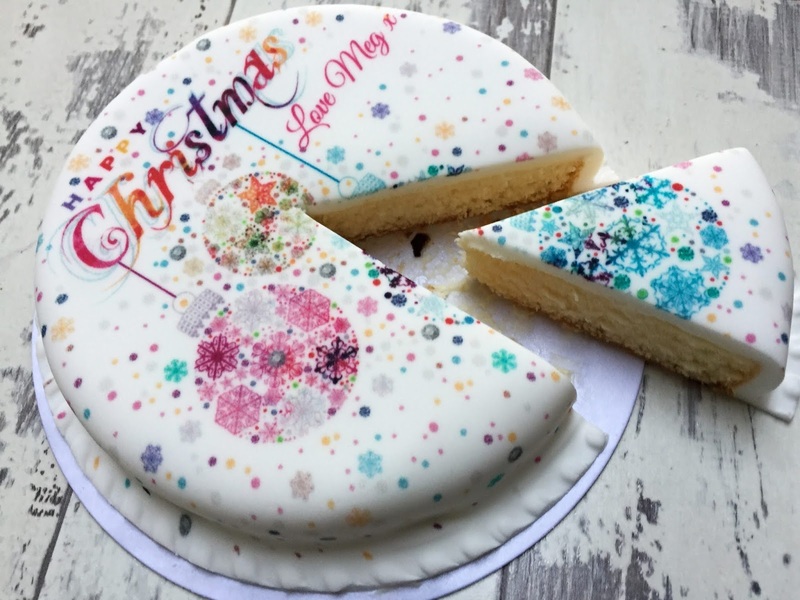 The 5 inch Christmas Letterbox Gift Cake (£14.99) is a great size, with plenty for the family. 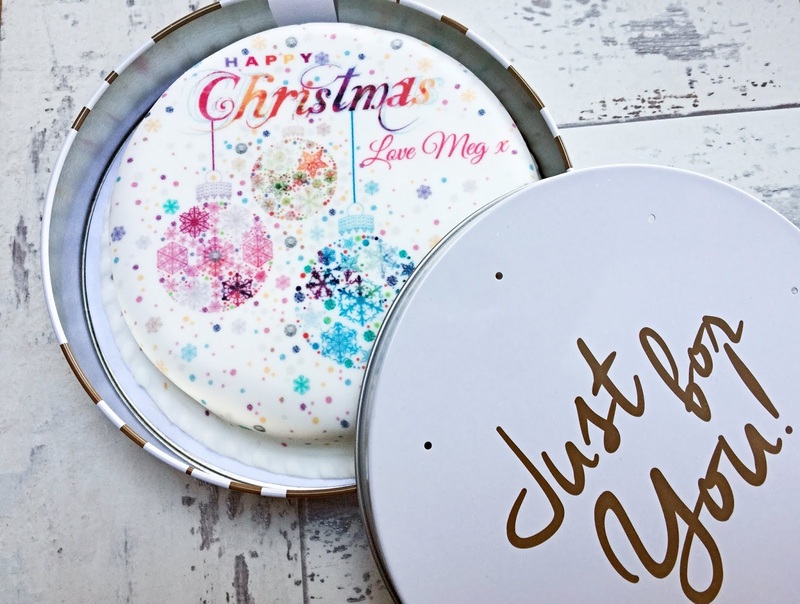 If you are looking to send a Christmas gift that's a little different, letterbox cakes definitely have the novelty factor and are sure to put a smile on the recipient's face. 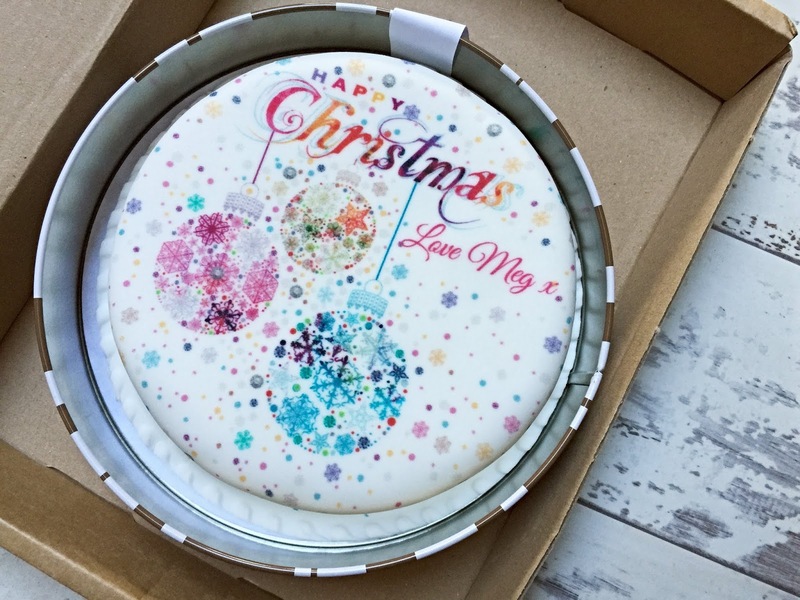 There are so many beautiful designs to choose from and the option to personalise the cakes makes them all the more special. 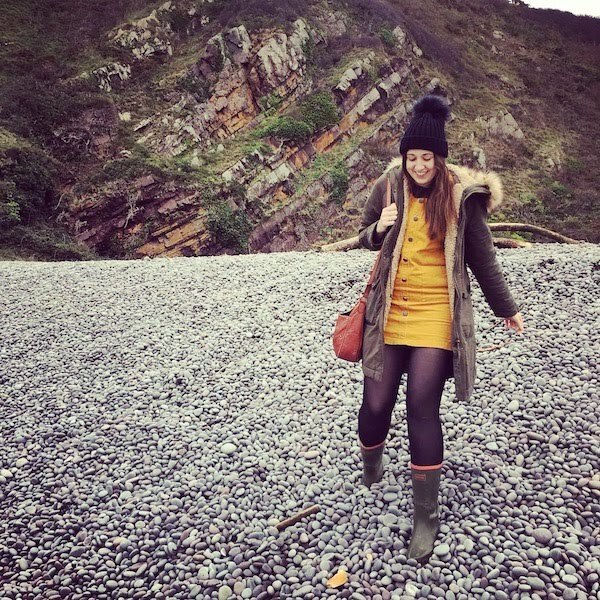 Orders placed 5 days in advance come with free delivery and there are also options for next day delivery if you're after a last minute gift (£5.99). I'm really impressed with my personalised Letterbox Gift Cake and highly recommend both the product and service from bakerdays.